Today, Tuesday November 13 2018, at 7pm EST (00:00 UTC) Professor Jonathan Zittrain of Harvard Law School will deliver the Peter Zenger lecture at Columbia Journalism School. His theme: The Food is Bad and the Portions are Big: How to Deal with the Information Environment Fostered by Today’s Social Media Platforms. Says Zittrain: “There’s little trust right now that Facebook or Twitter are offering well-curated newsfeeds, and not just because, for example, a 14,218-word deeply-researched and -vetted investigative report by the New York Times appears in feeds on the same playing field as a video of a dog wearing pants.” The lecture series is named after John Peter Zenger whose libel trial and eventual acquittal (1735) set a precedent for establishing freedom of the press in America. The event will be webcast live on Youtube. Today, Thursday October 3 2018, at 3pm ET (19:00 UTC) the Internet Society Livestream Channel will webcast yesterday’s NYC launch of LikeWar: The Weaponization of Social Media. In this new book authors Peter W. Singer and Emerson T. Brooking study what social media has been doing to politics, news, and war around the world, drawing upon everything from historic cases to the latest in AI and machine intelligence. At this event, hosted New America NYC, the authors were joined in conversation by Kate Brannen, Editorial Director, Just Security, as they tackled the questions that arose during their five years of research: What can be kept secret in a world of networks? Does social media expose the truth or bury it? And what role do ordinary people now play in international conflicts? 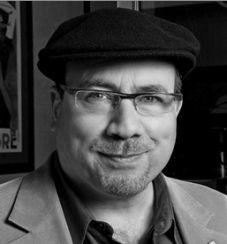 On Thursday September 26 2013 Craig Newmark, founder of craigslist, and an inductee to the Internet Hall of Fame, will present the topic Social Media: The New Frontier of Global Leadership at Barnard College. Craig will speak on how he went from being a nerd and an outsider to a decision to forego big-money Silicon Valley in favor of “doing well by doing good.” In 2011, Craig launched craigconnects, an initiative to link up everyone on the planet using the Internet to bear witness to good efforts and encourage the same behavior in others. ISOC-NY members are invited. Admission is free. No registration required. No webcast.